Read stories of the MENEHUNES, or Hawaiian fairy folk. HEREIN you will find 34 folk and fairy tales from the Hawaiian Islands. Of special note is the section on the MENEHUNES, or fairy folk. The islands are often referred to as the HOME OF THE BROWNIES. 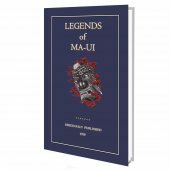 You will also find the tales of AI KANAKA; A LEGEND OF MOLOKAI, MAUI SNARING THE SUN, THE LOCATION OF THE LUA O MILU, KALELEALUAKA, LAKA'S ADVENTURE, KEKUPUA'S CANOE, THE BATTLE OF THE OWLS and many, many more (see the Abela website for a complete Table of Contents). 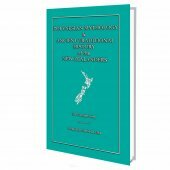 If you have interest in the native Hawaiian people, and indeed the Polynesian race as a whole, then you will do well to include this book in your library. However, if you are seeking märchen, different to the usual European diet of princes on white stallions dashing in to save a beautiful princess, then this volume is bound to keep you captivated for hours as well. 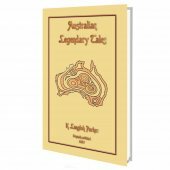 This book was created in response to repeated requests from the public. The compiler, Thomas. 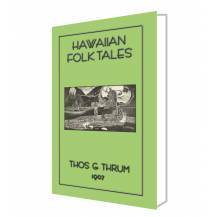 G. Thrum, therefore presented in book form the series of legends that have were made a feature of "The Hawaiian Annual", originally published as early as 1875 and through to the 1970s. The series has been enriched by the addition of several tales, the famous shark legend having been furnished for this purpose from the papers of the Hawaiian Historical Society. 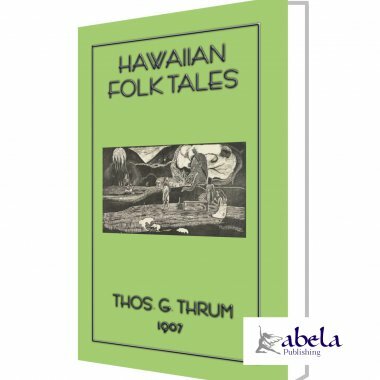 In similar vein to Joseph Jacobs ENGLISH FAIRY TALES and MORE ENGLISH FAIRY TALES, Thrum later followed this voulme with MORE HAWAIIAN FOLK TALES which were also published in his Hawaiian Annual. Pi was an ordinary man living in Waimea, Kauai, who wanted to construct a mano, or dam, across the Waimea River and a watercourse therefrom to a point near Kikiaola. Having settled upon the best locations for his proposed work, he went up to the mountains and ordered all the Menehunes that were living near Puukapele to prepare stones for the dam and watercourse. The Menehunes were portioned off for the work; some to gather stones, and others to cut them. All the material was ready in no time (manawa ole), and Pi settled upon the night when the work was to be done. When the time came he went to the point where the dam was to be built, and waited. At the dead of night he heard the noise and hum of the voices of the Menehunes on their way to Kikiaola, each of whom was carrying a stone. The dam was duly constructed, every stone fitting in its proper place, and the stone auwai, or watercourse, also laid around the bend of Kikiaola. Before the break of day the work was completed, and the water of the Waimea River was turned by the dam into the watercourse on the flat lands of Waimea. When the work was finished Pi served out food for the Menehunes, which consisted of shrimps (opae), this being the only kind to be had in sufficient quantity to supply each with a fish to himself. They were well supplied and satisfied, and at dawn returned to the mountains of Puukapele rejoicing, and the hum of their voices gave rise to the saying, "Wawa ka Menehune i Puukapele, ma Kauai, puoho ka manu o ka loko o Kawainui ma Koolaupoko, Oahu"--the hum of the voices of the Menehunes at Puukapele, Kauai, startled the birds of the pond of Kawainui, at Koolaupoko, Oahu. The auwai, or watercourse, of Pi is still to be seen at Kikiaola. At one time Pi also told the Menehunes to wall in a fish-pond at the bend of the Huleia River. They commenced work toward midnight, but at dawn the walls of the pond were not sufficiently finished to meet, so it was left incomplete, and has remained so to this day.